In striking down the ACA, the Texas judge reasoned that in 2012, the Supreme Court upheld the coverage mandate because of the Congress’s power to tax. In the tax reform package passed by Congress last year known as the Tax Cuts and Jobs Act of 2017, the tax penalty for failing to comply with the individual mandate to maintain coverage was removed. As a result of this removal, the Texas court reasoned that the mandate is no longer a “tax” so the legal underpinning for the ACA has been eliminated. Even more controversial in his ruling was his determination that the mandate is “essential” to the rest of the law, so without the mandate, the entire law becomes invalid. This includes the provisions protecting coverage for people with pre-existing conditions and the ability for young people to stay on a parent’s health plan until age 26. As a result of the midterm elections, the House of Representatives will shift from Republican to Democratic control in the 116th Congress, which will begin in January 2019. The Senate will remain under Republican control with an increased Republican majority. The party that has the majority of members in the House or Senate has substantial power to set the agenda, chair committees, and decide what bills will be considered for hearings and markups. The majority also has more members on each of the committees. The House has significant authority over appropriations and oversight of existing laws and regulations as well as oversight over the executive branch in general. It is unknown exactly how this divided Congress will impact policy, but we believe that Congress will now be less likely to prevail in efforts to repeal the Affordable Care Act or to cut or significantly alter Medicaid. 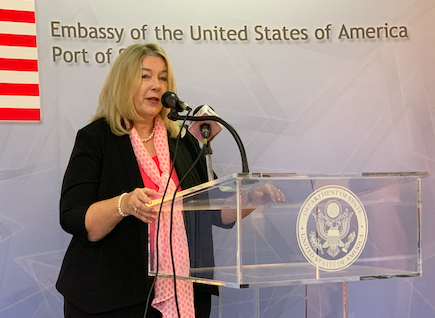 Continued ideological differences and partisanship could possibly lead to ongoing gridlock, but we are hopeful instead that the new balance of power will lead to more bipartisan action. For an analysis of changes we can expect in House and Senate committee leadership and their impact on policy, see this document prepared by our colleagues at The Autism Society, HERE. Advocacy Needed: Help Us Get These Bills Passed in 2018! The 115th Congress ends in December, and NDSC is working around the clock along with other disability groups to get several bills across the finish line. As explained below, the EMPOWER Care Act (S. 2227/H.R. 5306) and the ABLE Age Adjustment Act (S. 817/H.R. 1874) have the potential to positively impact many peoples’ lives, and their passage in this Congress is important to the sustainability of their programs. Bills that do not pass before the end of 2018 will need to be reintroduced in the next Congress, and the process of adding cosponsors, having committee hearings and trying to find a vehicle for passage starts all over again. We have updated NDSC Action Alerts on these issues. 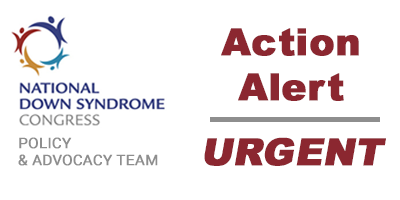 Please take a few moments to call and/or email your elected officials and ask them to support the EMPOWER Care Act and the ABLE Age Adjustment Act and pass them this session! 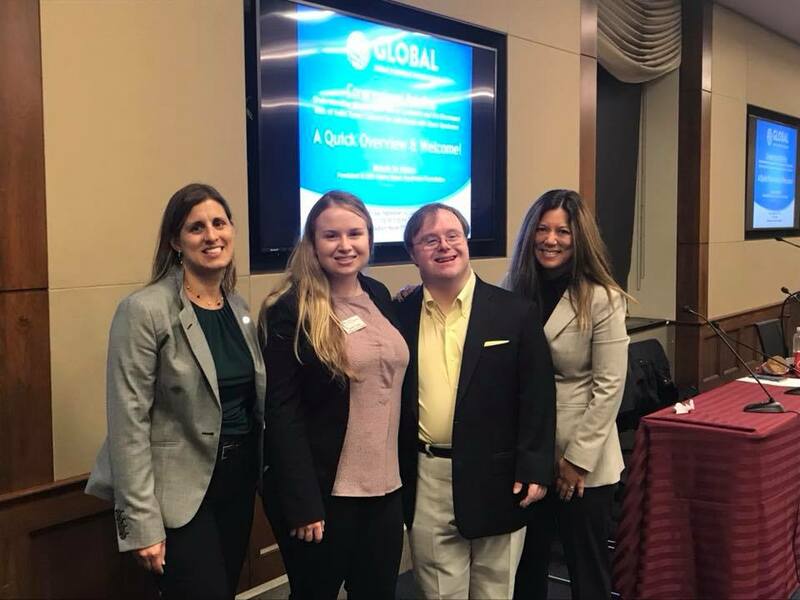 Down Syndrome and Cancer Briefing in D.C.
Heather Sachs, NDSC Policy Director, and Lauren Camp, NDSC Policy Associate, attended a Congressional Briefing last week hosted by the Global Down Syndrome Foundation at the Rayburn House Office Building in Washington, D.C. 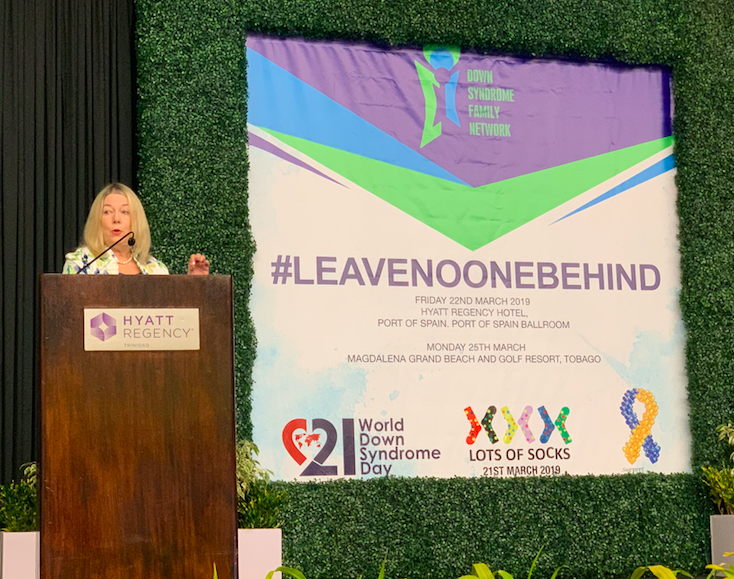 Activists, scientists, medical professionals, and legislators discussed the increased risk of leukemia and the decreased risk of solid tumor cancers for individuals with Down syndrome and the need for increased funding into this phenomenon. 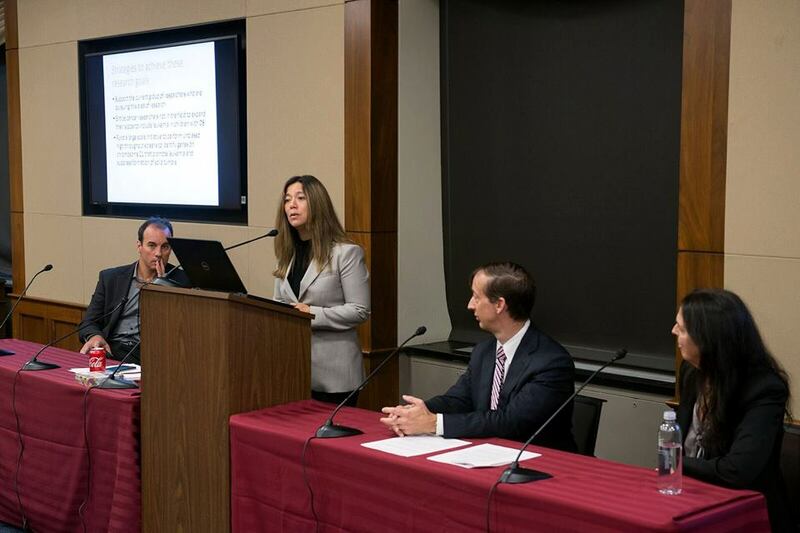 Thank you to Global for organizing this briefing and taking the lead on this important research. NDSC issued a press release calling on U.S. Department of Education Secretary Betsy DeVos to issue new guidance clarifying that federal special education and vocational rehabilitation funds may be used to support postsecondary students with intellectual disability (ID). The media statement was released in conjunction with a letter from 71 local, state, and national organizations requesting that Secretary DeVos issue this guidance. A comprehensive report, “Addressing the Policy Tangle: Students with Intellectual Disability and the Path to Postsecondary Education, Employment and Community Living” accompanied the letter. It outlines the legal and policy background of the issue and the need to meet the Congressional intent to encourage postsecondary education and competitive, integrated employment for individuals with ID. LRP Publications published an article on this issue and other news outlets have expressed interest. Disability Scoop just published an article yesterday. NDSC is the lead organization in this effort and is pleased with the tremendous support from other organizations. Please help us to pass the ABLE Age Adjustment Act (S. 817/HR 1874) this session of Congress! The ABLE Age Adjustment Act would amend Section 529A(e) of the Internal Revenue Code to increase the eligibility threshold for ABLE accounts for onset of disability from before age 26 to before age 46. This increase would result in millions of additional individuals with disabilities becoming eligible to open an ABLE account, which is an important savings tool to empower individuals with disabilities to achieve and maintain health, independence and quality of life. Steve Sabia and Eli Lewis have been best friends for over a decade. In April 2016 they achieved their dream of moving into their own apartment. They live in a regular community apartment building with 500 residents, which offers all the amenities two young men could want. They call this place their “Bachelor Pad.” They have a low-income housing voucher to help them pay for the rent. The apartment building is very close to the metrorail and buses, which the guys use for work, recreation and sometimes for classes at the local community college. 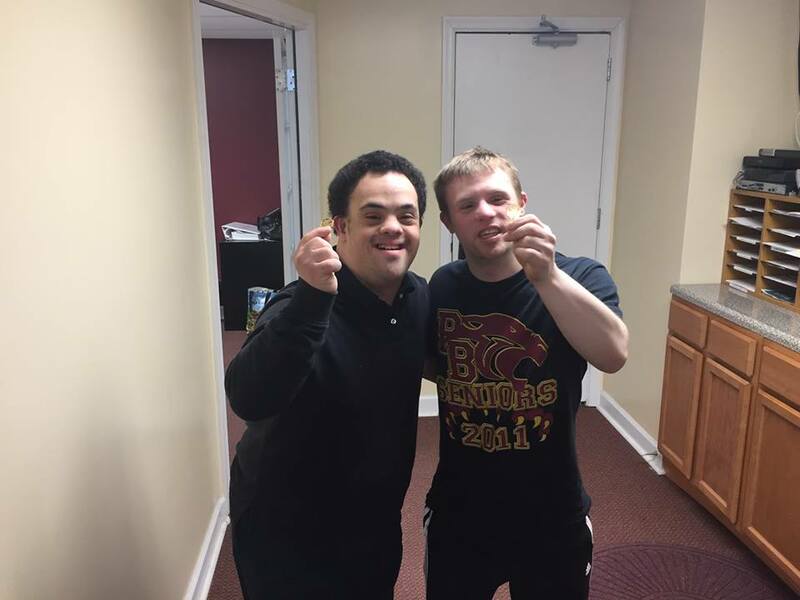 Steve and Eli both work in the mornings, but from 2pm until after dinner they have support staff, paid for by Medicaid, to help them with grocery shopping, cleaning, laundry and cooking dinner. They also have Medicaid-funded support staff on weekends to help them get to the activities in the community that are not accessible by public transportation.